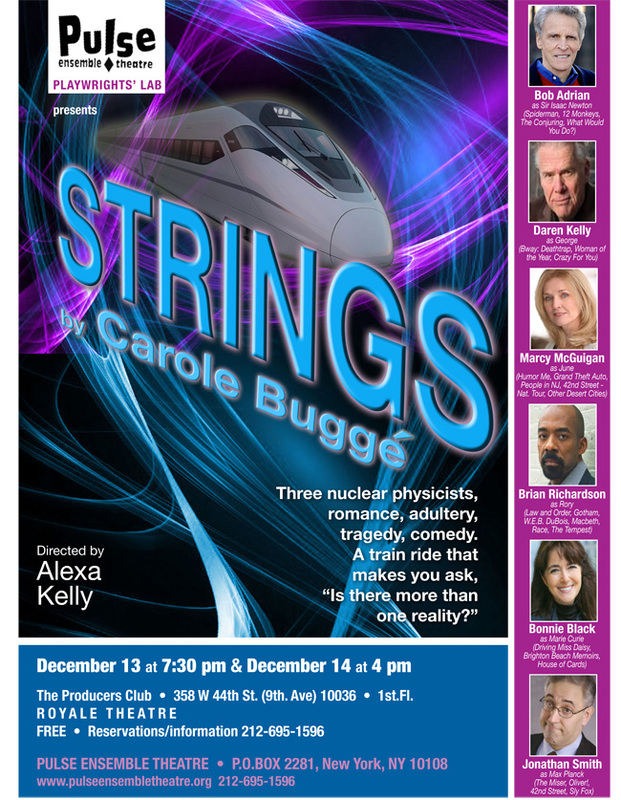 The group is currently under the leadership of nationally and internationally produced director and playwright Alexa Kelly, with additional input from guest dramaturgs, directors and producers. It is supervised by Brian Richardson. All playwrights involved are expected to participate in discussion about all the works being read, not only their own plays. One of the distinguishing features of our Lab, is that the playwrights receive FULL READINGS OF THEIR WORK, as many times as they need in the workshops environment, until it is deemed ready for a full public audience. They are thus able to re-write and hear their changes as often as they wish! A unique and most valuable opportunity and learning experience for the development of the plays! The Playwrights, under the leadership of Ms. Kelly continue working on the script until they feel it is ready for a public viewing. 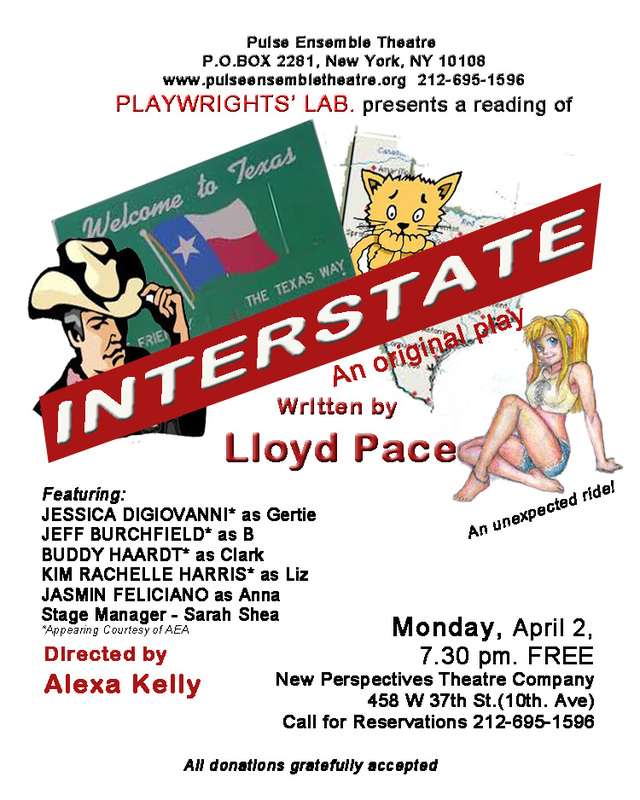 When the play is deemed ready, it is presented in a full public staged reading. Pulse casts the play, provides the director, and provides the presentation venue. We select certain scripts from the Lab. for further development, ie, workshop productions, and then to full production, e.g. CHAOS THEORY, by Anuvab Pal. The fee is a nominal $100 per month, (works out to only $20 per week on months with 5 Mondays! ), payable monthly in advance. 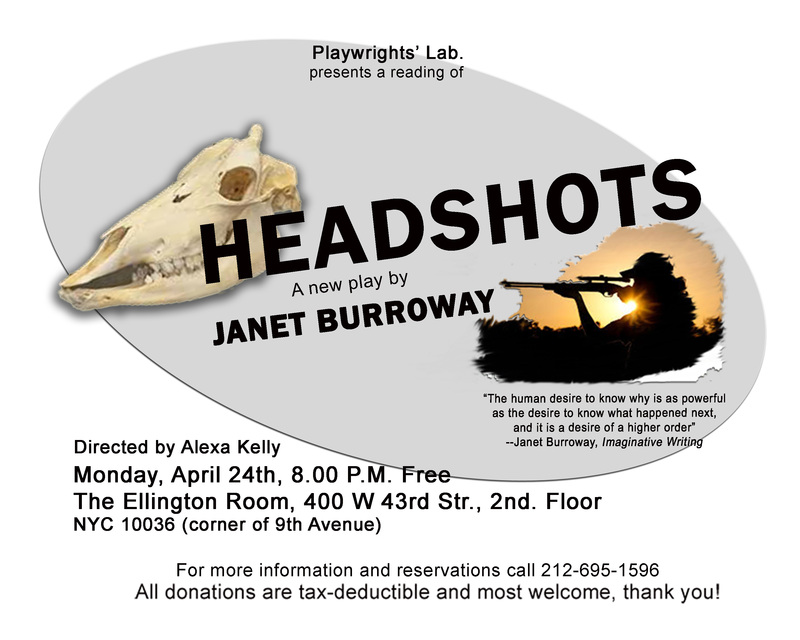 This fee includes the space, the casting, the actors and the feedback for all the readings. 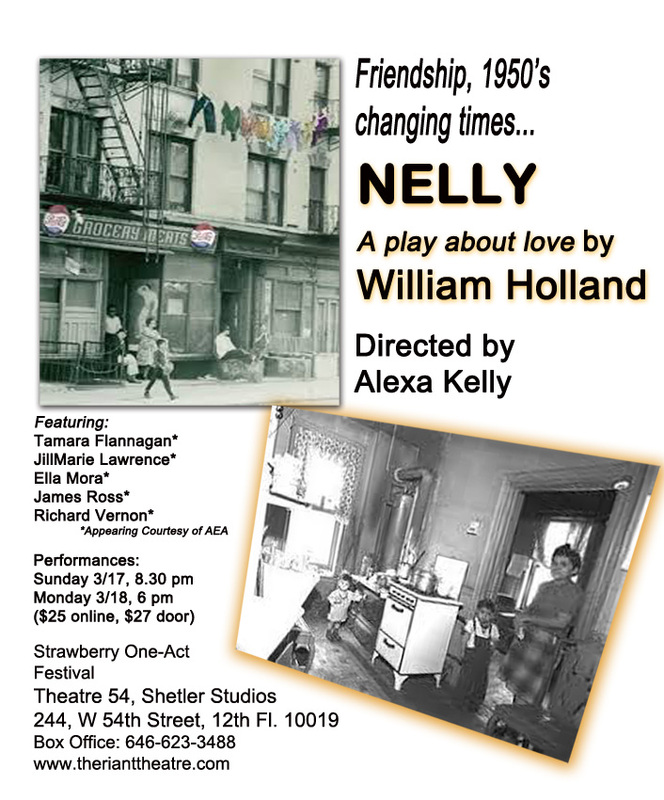 “Of course, you never forget your first New York production, and that was in a small off-off-Broadway Theatre, then and now helmed by this exceptional theatre artist, Alexa Kelly. 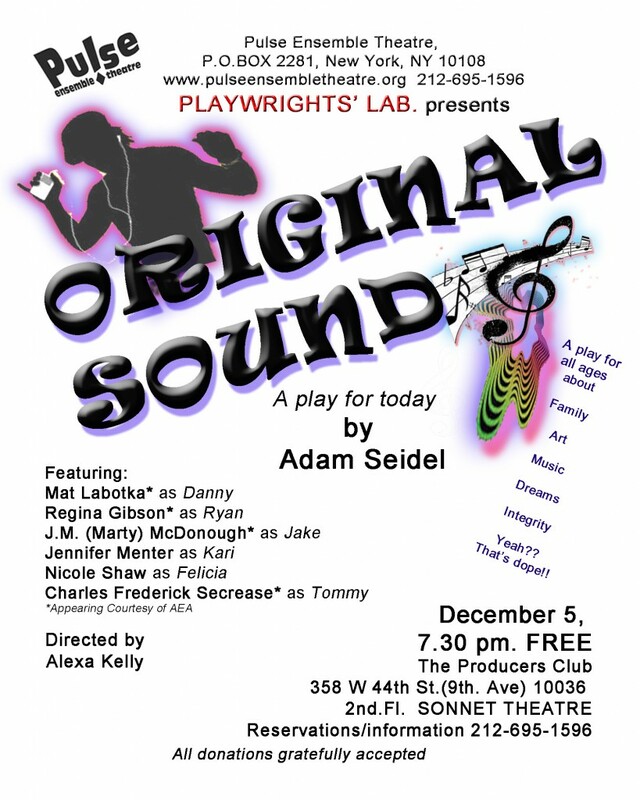 … Those kind of theatres are the heartbeat for young writers, and I’ll never forget the love that theatre gave me.”–Gary Garrison, Executive Director of Creative Affairs for the Dramatists Guild of America, New York. 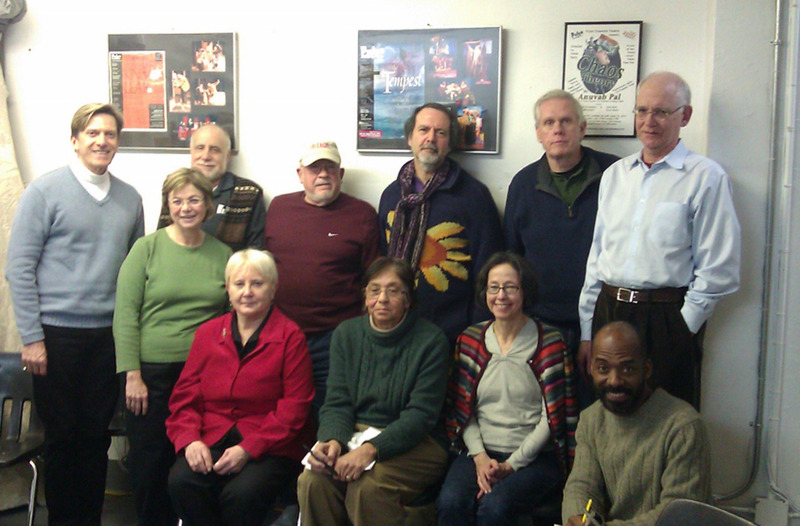 It is the playwright’s responsibility to meet the deadlines as set up by Pulse.